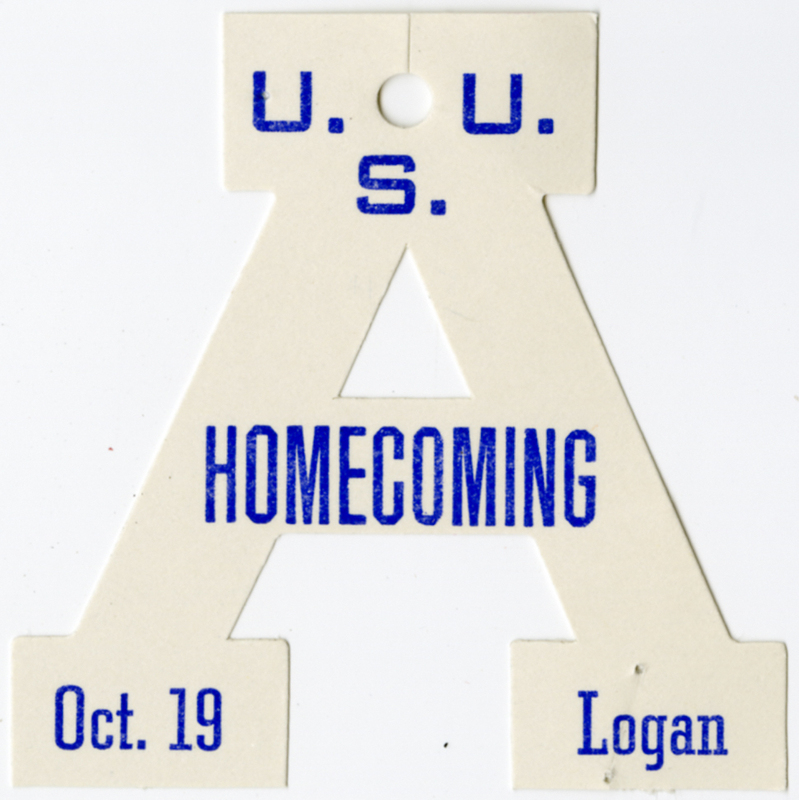 Homecoming ticket in the shape of a Block-A. Date unknown. Utah State University Special Collections and Archives, Miscellaneous Homecoming Materials, Record Group 25.4/9-1:36, Box 2. “USU Homecoming Ticket,” USU Digital Exhibits, accessed April 24, 2019, http://exhibits.usu.edu/items/show/18320.